Combination skin is really hard to shop for. Most products are too harsh for dry areas, not tough enough on oily areas, or both, and using different products on different parts of your face is always a pain. 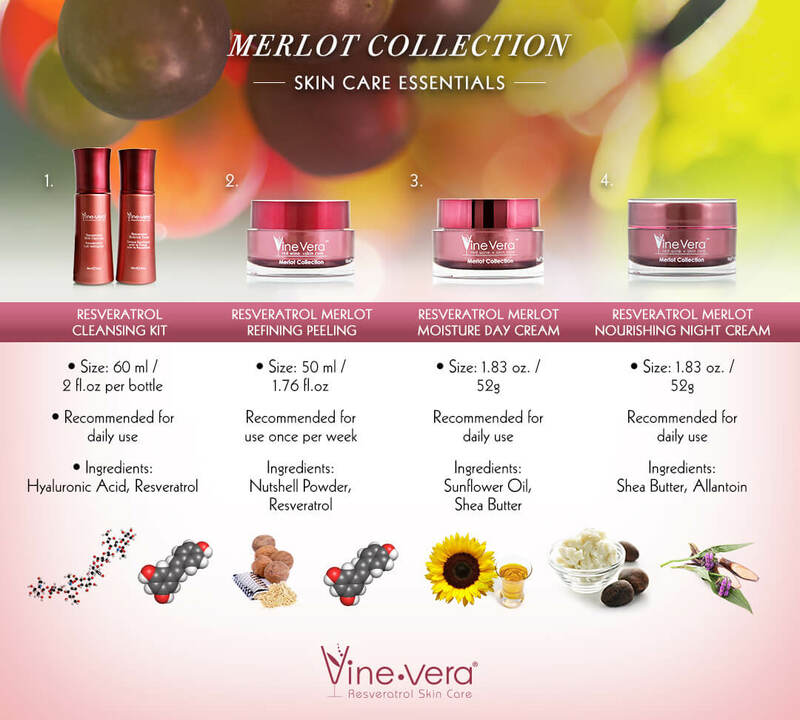 With the Vine Vera Merlot Collection, you not only have access to a variety of skin care products — including a serum, moisturizers, and peeling gel, among others — that are formulated to help out people with combination skin, but you also get products of the high quality and effectiveness you’re used to with Vine Vera, which — like our other products — are infused with our signature ingredient: resveratrol.